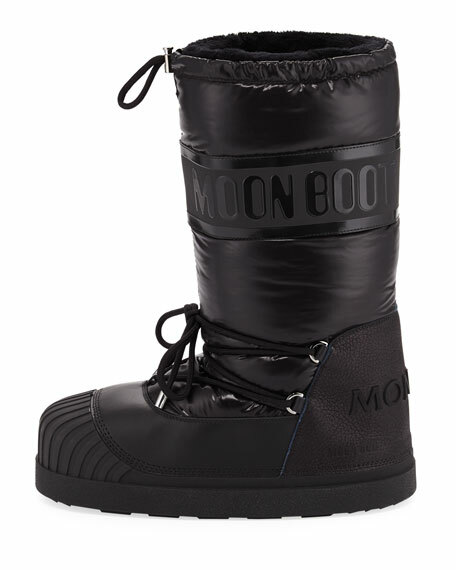 Moncler quilted nylon mid-calf boot with "Moon Boot" text. "Venus" is made in Italy. 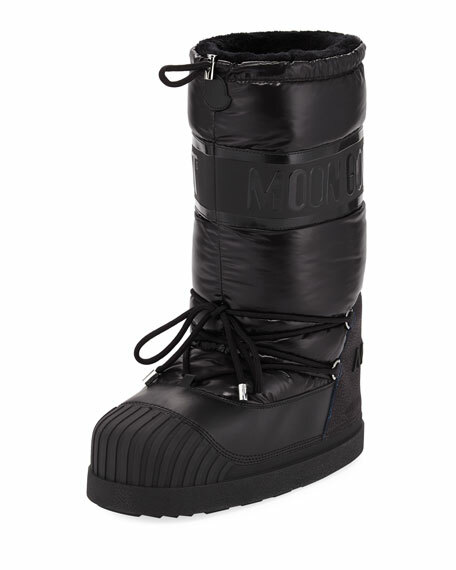 Founded in 1952 by Rene Ramillon, this French company designs fine outerwear and sportswear. 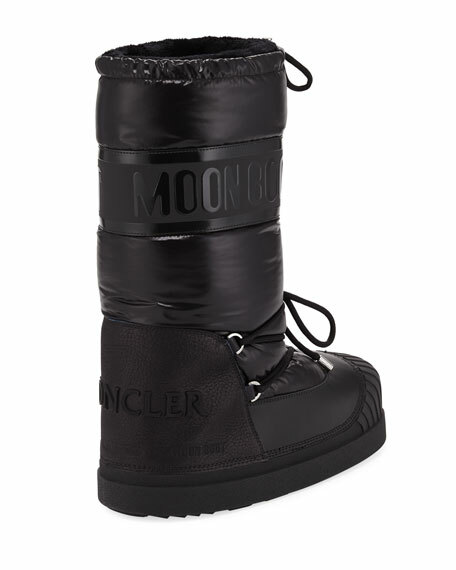 The name Moncler originates from an abbreviation for the town of Monestier-de-Clermont in the French Alps, where the company originated. In 2003, Italian Entrepreneur Remo Ruffini purchased the brand and transformed it into a renowned Italian luxury company with French roots. 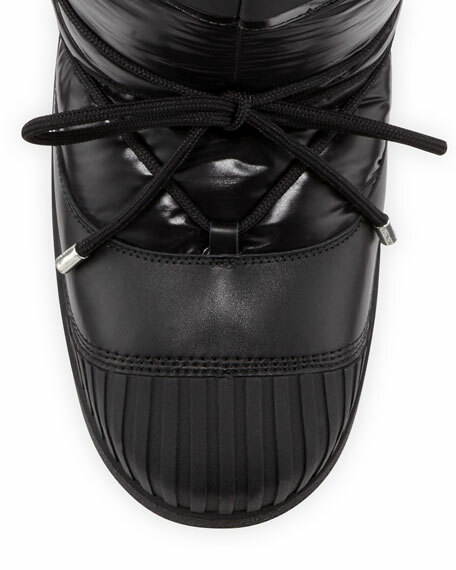 For in-store inquiries, use sku #2294324.